On Friday we spent the day at the Polynesian Cultural Center. It was a very interesting and fun day. When we arrived it was kinda raining, so I was a bit worried. It rained on and off all day, but most of the activities were inside, so we didn't have to deal with too much rain. We started off the day with an IMAX movie about Hawaii. Our seats moved as we turned and flew over the islands in an airplane and when we went through a waterfall we got misted with a little water. It was fun! After the movie, we visited all of the different cultural areas - Tonga, Tahiti, Iosepa, Hawaii, Fiji, Aotearoa (New Zealand), Rapa Nui (Easter Island) and Samoa. Each island had an activity and a show about their culture. The kids all said that they had a "awesome" day! 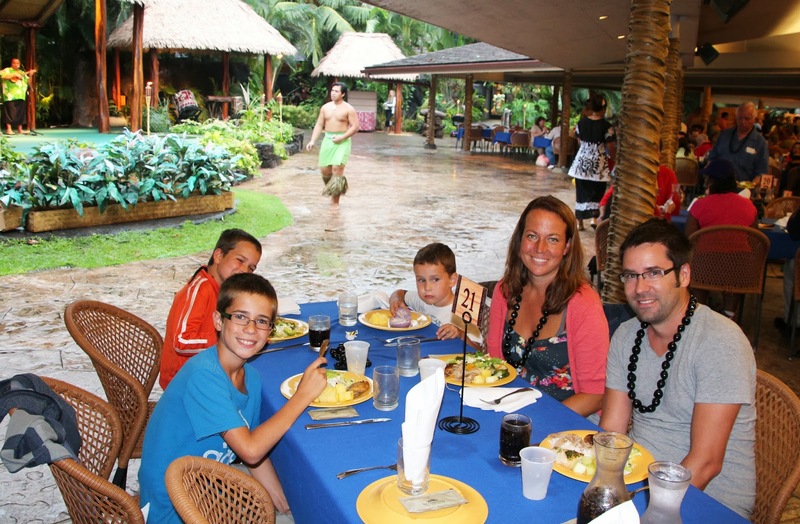 After we explored all of the islands, it was time for the Luau. We enjoyed Samoan music and dances while we ate a Samoan dinner. It was really good! 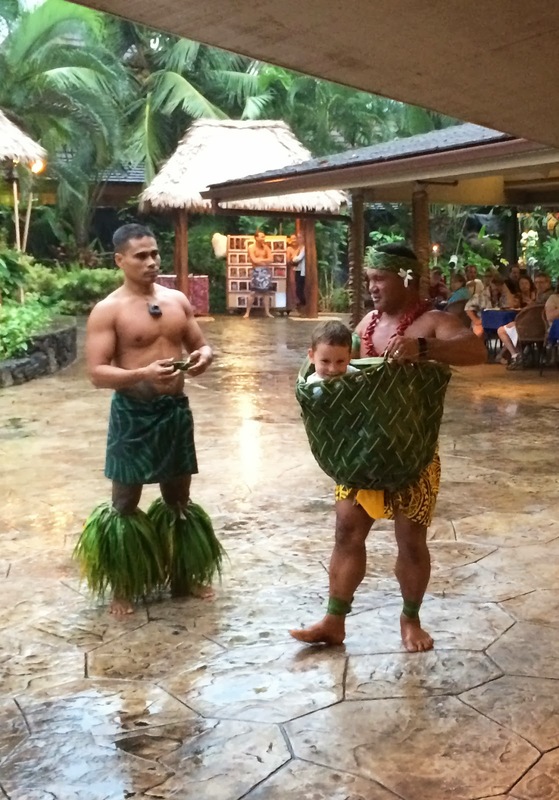 During part of the show, the men made baskets out of palm fronds. Zack was the tester, to see if it would hold. He lifted him in the air with no problems! After the Luau, we went to a live show- "Ha, Breath of Life". It was really cool, with each culture doing a dance and song. 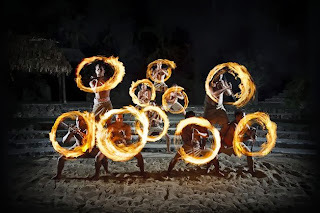 The best part of the show was the fire dancers. Even though it was a bit soggy out, we had a great day!